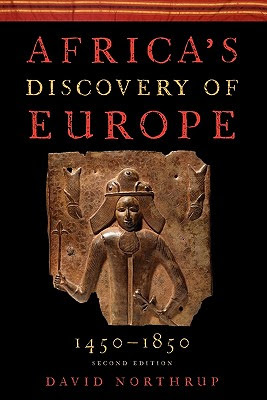 I just read a very interesting book on Africa’s discovery of Europe written by a professor of History at Boston College. The book gives an overview of the encounters between Europeans and Africans, from 1450 till 1850. It starts with the first contacts between Portuguese sailors and African coastal states in West-Africa and is as much as possible based on sources from Africans. The author doesn’t look at Africa as a victim but rather as an active contributor and partner in the African-European relations. He studies how religion and culture interacted, how sexual relationships came to be, what the effects of new products and technologies were, how politics, economics, culture and religion interacted, etc. (I discovered e.g. that cassava and corn are not indigenous to Africa). The reader discovers how Africans were an integral part of the globalizing of economical and cultural transactions. Through the life stories of black missionaries, kings, princes, emissaries, traders and slaves we get an insight into the life and times of the first encounters between Europe and Africa. A whole chapter tells us about the stories of Africans who lived in Europe during the 16th, 17th and 18th centuries and how they lived their lives then. I was surprised to discover how racial mixing in the British Isles didn’t raise many eyebrows in those days, even less in Africa. We discover that the first encounters were encounters of equal parties, each trying to gain as much as possible from the transaction. Racial stereotypes and racial discrimination were only to take their full and aggressive form in Europe and Africa in the second half of the 18th century, most of all due to the influence of the colonists from the Americas and the justification of colonization and slavery. In the first centuries of the slave trade it was rather a coincidence that most slaves were black as Africa had a culture of slavery which post medieval Europe didn’t have. Europe bought the slaves Africa had to offer, for a major part to be able to colonize America. Still, in the first centuries of the slave trade, blacks could buy themselves free and becoming colonizers and slave traders. During those first centuries European presence in Africa was also focused on trade (among it slave trade of course) not on the colonization of the land and peoples of Africa. To all who want to deepen their understanding and knowledge of history between Africa and Europe I recommend to read this book. The author bases his research on primary sources written by mostly Africans and refers to most important works on the topic. Very interesting post. I might buy this book. I have had the same experience in Europe as Fredrick Douglass even though he's been dead for about 100 years. Black Americans realize they're not so black when you travel to Europe and see Africans. Black Americans don't see ourselves as racially mixed or anything but black until you travel to Europe or Africa. The difference is startling. (In France I was a mulatto or Metisse.) Black Brazilian friends of mine have said the same thing. It was seeing the Africans in Europe that you are reminded of your white ancestry. And yes, Africans are just as guilty as Europeans in the slave trade. We do acknowledge biraciality, clearly if someone only has one parent then that person is biracial (fact ). Frederick Douglass had as much wooly hair as the famous Dumas fils who was a victim of that old school racism because he had 25% of african blood in him.Douglass had a much more pronounced african look compared to Dumas . Douglass just benefitted from his American identity.Being white american opens a few doors over here too. like every other blacks we are pretty good at mesuring blood quantum (Asians do it too ) I don't think they perceived Bruce Lee as "not so asian" because of his heritage. just because we can tell someone has 10% of european admixture doesn't mean we classify them as mulatto. our perception of ethnicity is not confined into the 2 strict binaries extra dark black and mulatto.It is much more fluid than you think. Overall demeanour , slang, accent ,body language , dress code are one of many clues.I can tell if so and so isn't our domestic black and most times this based on the aforemented parameters.I can even tell if someone is from Paris or Lyon as well. In America, I'm black. I haven't gone by anything but that. But in France I was "metisse" a classification I respectfully rejected. The Parisians I met don't think blacks can have green eyes even after I told them my grandparents and parents are black. (The same thing for the singer Rihanna-she's black American just like I am and no one I have known questioned her heritage) My cousin who has red hair was called "metisse" too and she laughed it off. Our great grandfather had red hair as he was from Scotland. Because we have a Scottish ancestor we weren't black to the Parisians. Since 95% of black Americans have white ancestors, they might be shocked when they go to Europe and see Europeans question their blackness. Paris was very beautiful. Nice buildings and people. But let people choose their own ethnicity. And chatnoir, I'm not biracial. I'm black. But the French just saw the green eyes and suddenly I'm not so black anymore. i think we as black people in general attribute some of our "exotic" features to having european ancestory when, if you just do a bit of investigation, you might find that it might not have come from a european ancestor. sub-saharan africans come in a variety of skin colors from very light to very dark, some have keen features, and some even have light eyes. take for instance the fulani ethnic group. they are the largest ethnic group of black people in sub-saharan africa and many of them have very light eyes, are light-skinned, and have keen features. all of these things with no admixture. so please don't take for granted the diversity that's found in black africa for granted. i'm sure it contributes to who we are as african american people more than we dare to think. Anonymous, I have a closer Scottish ancestor than I have a Fulani ancestor (if I have a Fulani ancestor at all. The slave trade kind of ruined our chances of tracing our ancestry.) Your point is well taken however. Another thing I noticed from a Polish friend is that Sudanese blacks are pure blacks and that anything different from Sudanese blacks are mulattoes or according to him "not exactly black." I told him an Estonian couple just stared at me on a plane as if they've never seen a black person. He then replied, "well, you're not exactly black." I pressed him on that last statement and basically he was using Sudanese as the "real blacks." Pathetic. All that prized Western education did him what good? once again a book about our history written by a non african. i would never give my money to buy that HIStory!!! ^^^ Why? Is there something wrong with the book? You seem to hate white people. Why are you in Europe then? many black people born in these shores have at least one european ancestor. I have a couple of close relatives with green eyes too. they have never been told they are "not black", I find your story highly implausible.I have lived here all my life and I have never heard of someone being mistaken for another ethnicity just because their eyes are green. Roughly 10% of almost all ethnic group on earth have green eyes. Green eyes are a trait shared even amongs certain chinese and indian ethnic groups .Dark brown eyes are a dominant trait.90% of blacks , indians and chinese have dark black eyes.What does this mean ? well green eyes are interesting but dark brown eyes are the global norm as far as eye colouring goes. In the US I am not black, black as in "US born black person".We make the same distinctions over here and those are not based on phenotypes. Deep dark skin is not neccessarely a trait of pure african ancestry.although dark skin is a central feature to our ethnicity ( emblematic ) also.There are enough deep dark sudanese with arab heritage.Now does it change the fact that they are African ? um.. no.Essentially you are doing us a disservice by highlighting a distant european ancestor when you already know that you will NEVER come across a european or Asian who will admit to having an african ancestor even if that person does in fact.And frankly I do not know scottish features translate in someone's ethnic make up.Maybe you should pin point those unique phenotypical characteristics the scots carry with them.I would love to know how a scottish black person looks like. 4- most people in scotland do NOT have red hair, even irish do not have red hair for the most part.Red hair is emblematic of the celtic culture but hardly a trait shared amongst all people with that heritage.Brunette is the norm but not the Italian brunette type.And I don't think the Scots are welcoming of black people with a drop of european blood in them.Maybe if you don a kilt they will see you as "one of them". I think there's a language barrier here. I never once said I go by Scottish or mixed race. I go by black American 100% of the time. The French, though, saw my green eyes and I wasn't an African in their eyes. Many blacks have written on the web about being treated better than Africans in France and the only thing the French are going on IS phenotype. 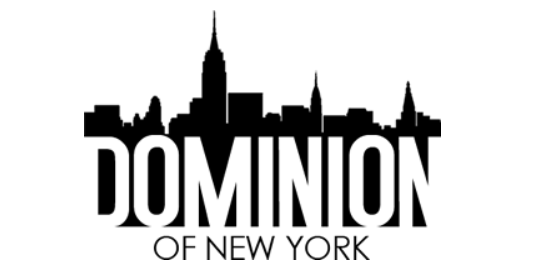 Doing "us" a disservice? Who is us? Black Americans? If you're talking about doing black Americans a disservice, I'd look at the facts. Ninety something percent of black Americans have white and Native American ancestors. What I am saying is nothing new to us. It's in Paris that they seem to have a strict view on what is black and what isn't. They can't tell me my ethnicity. And PS, please read black Americans' experiences in France or even in Europe as a whole before you start talking. Please read about how the French make a big distinction between black Americans and local Africans. That distinction probably doesn't happen over here. And there only reason why I'm saying 'probably' is because I'm not in Africans' shoes. This is a link to a black American's blog that I read before I went to France. I thought there was no distinction in France? Because you don't like something that you read, doesn't mean it doesn't happen. These stories are all over the internet. Even on this web site. And one more thing, I never said the French said I wasn't black. I said they called me "mulatto." This was shocking to me as I have never gone by anything but "black" in America. In America, if you have a drop of black, you're black. Look at these two. Both are black Americans and don't even go by biracial. The French would have a heart attack if they see these two calling themselves black Americans. I bet you these two would be treated better than the local Africans. This must be a language issue with chatnoir. But biracials are entitled to identify as what they are, whether a random person has a collection of the same amount of DNA and ends up ressembling an actual biracial it doesn't matter. most times the lines are not blured anyway.An ethnicity is mesured through its dominant heritage not the marginal experience. You talk about language " barrier" but I am actually proving you that you misinterpreted our concept of race. The key issue here is that your idea of what is French is limited to whites. Those are the ones who allegedly commented on your race.I would assume black people's perception of themselves mattered more than the opinion of someone who is not related to us.Someone would have articulated the similarities and differences like I did earlier, those are crucial. Admixture is not limited to America. countless of blacks ( whites also ) be it from africa, the west indies , Mayotte or even La reunion do have different admixtures sometimes the actual admixture is pure african albeit from another ethnic group , however this is not the deciding factor that differentiate people.It is unclear to me how admixture ( which is by definition small is most cases) can make someone appear from a completely different race.There are no reverse oreos in this country you know. The usual " Iam treated better than you" . which you assume is strictly based on shadism like in America. Let me let you in on a little secret " IT DOES NOT MATTER OVER HERE" .fundamentaly tolerance does not mean acceptance in this nation. This country welcomes every "temp" guest.The French racial lingo is way too subtle for foreigners to grasp but don't worry you are not alone.In this country people hand out back-handed compliments ( I do it too), nothing suprising here. Black people are the ones who never get a( and i repeat NEVER )compliment on their african features.If they detect a feature they like.they will claim it first then pass it off as a compliment.If you do not "check them" , they may as well call you fugly next time they meet you.This country created the likes of Ernest Renan remember ? To the question "if you have one drop of black blood your are black" in America.This is debatable. If this was true Jennifer Lopez and George Lopez would all be black people today. Puertoricans and Mexicans all have a "good memory" of their own african relatives.Now explain us why they didn't "graduate" into blackness despite the fact that they clearly have more than 1% of african blood in them (and it shows). Yes, when I say French, I mean French whites. It's their land. When I said Nigerians, I'm usually not talking about whites living in Nigeria. Again, you don't know what the HELL you're talking about confusing nationality and ethnicity. I really should stop talking to you now since you think Mexican and Puerto Ricans are ethnicities (talking about being Puerto Rican and not black... what you can't be both?). These two people claim a nationality over a race. Mexican is NOT a race. That's like saying my race is American. American is NOT an ETHNICITY or RACE! I rightfully, was probably, perceived as black with Africans in France. My issue wasn't with them. I probably wasn't a mulatto to them. Having a Scottish great grandfather is NOT biracial no matter how you cut it. It isn't mulatto either (a term that is uncommon in America). I never said too that I didn't look black. This is more MISREADING on your part. I have just commentated on my EYE COLOR, not my appearance. I am clearly a black American. I am just not dark like the Africans in France which is where the problem starts with the French people(whites). If you're not coal black, you're not really black. Shadism does exist in this country unfortunately. However, blacks that do this are quickly reminded they're black when they go out in the real world. Skin color is so over-hyped within the black American community. What we find out is that no matter how light or dark you are, you're black in whites' eyes here. Mulatto word is an offensive term from slavery that means MULE it is not used by Biracial blacks in Europe. The term Biracial more aptly applies because it is a blend of BI-two races. @truth2011 I must agree with what you said about "These two people claim a nationality over a race. Mexican nor Puerto Rican is NOT a race." My mom is African American my dad is Afro/Puerto Rican/Cuban. We call ourselves Black because that is what we are. I think some Latinos get it so confused about who they are. For instance i was at a restaurant yesterday with friends. This guy came in with a Puerto Rican hat/t-shirt/flag on his car...the works. I just shook my head. He was Black! I was talking to my friends and I went into Spanish. The guy asked me what was i. I said what… He said where was I from..i told him NYC but lived here in Chicago for many years. He went on to was I Latino I said I am Black just like you. He said no I’m Puerto Rican…I said ok but you are a Black man. And I explained to him Puerto Rican is nationality not a race. He was a bit upset by what I said….i told I am Black and so are you. He didn’t like that…so I told him you’re a lot darker than I am. And I know I am 100% Black. Then I said my dad is Puerto Rican/Cuban…but he is Black. I told the guy it doesn’t matter if you want to just claim Puerto Rican. Because when people look at you all they will see is a Black man. I told him to embrace that and stop looking foolish with all this Puerto Rican garb on! I can tell he and his family got mad…but I didn’t care. He asked me and I went for it. I told him I don’t deny any part of me but I love the fact that I am Black. And that when people look at me that is what they see and I’m very proud of that. I said to him most Afro Latinos have so many issues about who they are what they are. They want to claim everything except being Black. And most if not all Latinos come from Black ancestry. But you never want to acknowledge that. Then I asked him why does he wear so much garb with Puerto Rico on it. I said is it because you want people to think you are less Black? Or is it that you’re insecure about who you are and your skin color. By this time he was pissed but it didn’t bother me any. He said I’m Puerto Rican! I said ok but never forget they you’re Black first. I told him it is good to have pride and all but must you wear it on your sleeve!!! I told him to me it represents insecurity to me. When I look at that I just see a Black man wanting others to think he is a little different from other Black. And that he looks like a buffoon…more so when he says he is not Black. His brother got into it and I just said to him if you don’t love who you are and why and how you are …you have no real love at all. But I said it all in Spanish. Then come to find out he didn’t know that much Spanish….. But just to cut this…by the end of the conversation he gave me his number and email to keep in touch. Yep, I've seen those types before ^^^. Sammy Sosa comes to mind. I have Scottish and English blood and light green eyes. But guess what? I'm treated just like any black American. And to see Afro-Latinos almost pure black denying their ancestry is pathetic. In his head he's Puerto Rican. But to most Americans, black and white, he's just a n!gga. Be happy with who you are. Don't deny it. @ Anonymous, I agree w/ your statement that despite our enthusiasm to attribute certain features to European heritage, were we to look more closely into our past, we would perhaps discover that these phenotypical characteristics were produced by African genes.Even if those physical characteristics result from the 'presence of European blood', we should not dismiss one significant fact : many African ethnic groups carried these features before the onslaught of Europeans in Africa & the subsequent mixing that occurred. The truth of the matter is that the African race was & is a diverse race.